The second level of the Method is all about achieving true partnership with your horse. 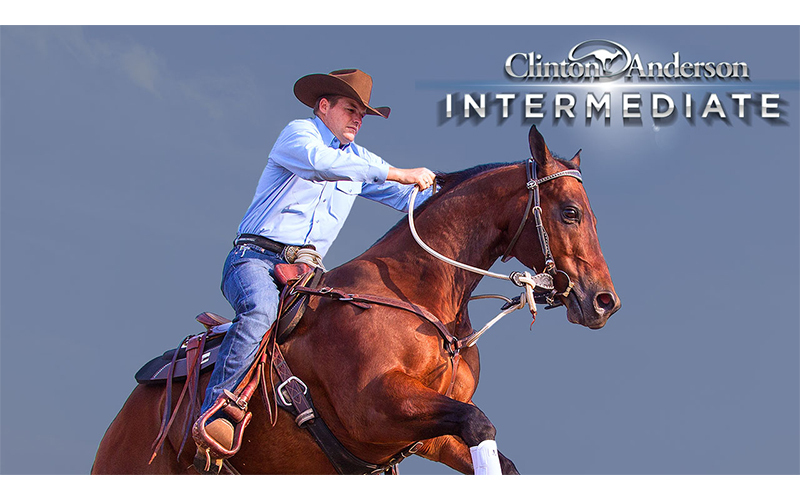 In the Intermediate Series, Clinton shows you how to build on the concepts of respect, control and communication you worked to establish in the Fundamentals Series. Lessons in the Intermediate Series focus on gaining even more control of your horse’s feet on the ground and achieving true lightness and suppleness in the saddle. The series comes complete with videos and Arena Mates that detail the lessons listed below. The digital Intermediate Series may be accessed on your mobile device using the Downunder Horsemanship app, which is a free download from the App Store or Google Play, and on your computer through the Downunder Horsemanship website.